For years, the Environmental Protection Agency has been issuing some of the costliest regulations in U.S. history, especially when it comes to its air pollution regulations. The EPA has moved forward with these regulations, even when there have been little to no benefits to achieving the stated objectives of the rules. 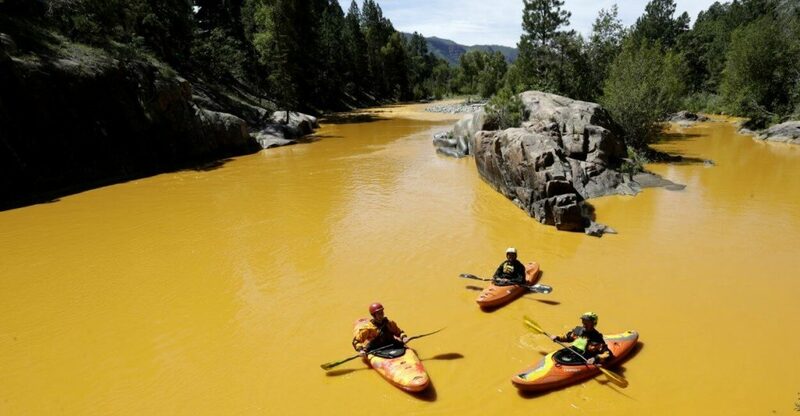 If this meant there was more harm than good, that was fine to the EPA. The Trump administration’s EPA is trying to end this abuse. A few weeks ago, the EPA released a proposed rule addressing the Mercury and Air Toxics Standards rule for power plants, the so-called MATS rule. When the Obama EPA finalized the MATS rule in 2012, it didn’t bother to consider costs when deciding whether to regulate mercury and other hazardous air pollutant emissions from power plants. That led to a Supreme Court case, Michigan v. EPA, challenging the agency’s failure to properly consider whether the rule was “appropriate and necessary,” as required under the relevant section of the Clean Air Act (Section 112). In 2015, the court held that the EPA, because of that “appropriate and necessary” language, must consider costs. In 2016, the Obama administration “considered” costs and published a supplemental finding concluding that the MATS rule was “appropriate and necessary.” That was despite the fact that the benefits of reducing mercury emissions as determined by the Obama administration were $4 million to $6 million annually, and the costs of reducing such emissions was $7.4 billion to $9.6 billion annually. The costs were as much as 2,400 times greater than the benefits. The Obama administration’s EPA justified the rule based on what are called “co-benefits” or indirect benefits. According to the EPA’s proposed rule, the co-benefits are about 99.9 percent of all monetized benefits. The benefits from mercury emission reductions might be minuscule, but the purported indirect benefits from reducing other air pollutants, such as fine particulate matter ($37 billion to $90 billion annually), exceed the costs of the rule. These co-benefits can become a cover for regulating whatever the EPA wants, without ever having to justify the regulation of the targeted pollutant. There is also a specific Clean Air Act process for regulating fine particulate matter and other criteria pollutants (six major air pollutants), as well as statutory language that may preclude such regulation under Section 112 of the Clean Air Act, which was the relevant section for the MATS rule. This gaming of the system is also misleading to the public. For example, it gives the misimpression that reductions in mercury will yield significant benefits, when in fact the supposed benefits are almost entirely derived from projected reductions in fine particulate matter. The Trump administration’s EPA is proposing to make much-needed changes. The EPA argues that the MATS rule is not “appropriate and necessary.” The agency is not proposing to get rid of the MATS rule, but is clarifying that the Obama administration’s analysis was flawed. If the [hazardous air pollutant]-related benefits are not at least moderately commensurate with the cost of [hazardous air pollutant] controls, then no amount of co-benefits can offset this imbalance for purposes of a determination that it is appropriate to regulate under CAA Section 112. The proposed rule would curtail the use of co-benefits in the context of the “appropriate and necessary” standard under the Clean Air Act. This same rationale should apply to all EPA regulations, and other agencies should follow suit. Further, Congress should codify in law protections against co-benefits abuse. The EPA has significant power, in large part because Congress has delegated far too much power and discretion to the agency, while courts have granted the agency unwarranted deference in its interpretations of statutes. Usually, the focus regarding agency overreach is on how the EPA is improperly interpreting its authority under the law. There needs to be more attention paid to the schemes the agency engages in to justify regulations that would fail any reasonable regulatory cost-benefit analysis. That could help provide some limits on the EPA so it can’t just impose whatever regulations it wants without properly considering the harm and good it would be doing to the country. Bakst studies and writes about agriculture subsidies, property rights, environmental policy, food labeling and related issues as The Heritage Foundation’s senior research fellow in agricultural policy. Read his research.